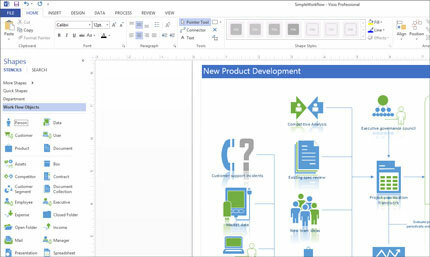 Microsoft Visio Pro for Office 365, available as a subscription through Microsoft Office 365, includes the same features, stencils, and shapes as Visio Professional 2013. 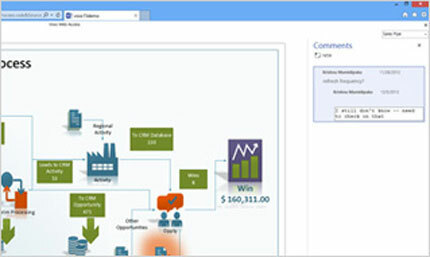 In addition, it allows each user to install Visio on up to five PCs running Windows 7 or above. 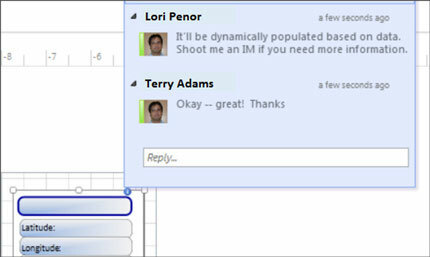 It automatically installs the latest updates (both feature and security) for the duration of the subscription. 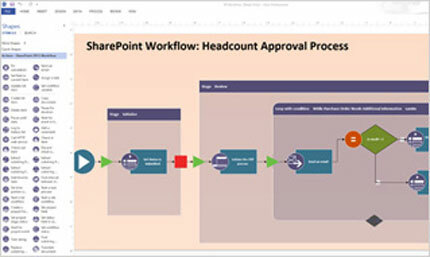 Benefit from integration with other Office 365 services, such as presence and instant messaging (IM) integration through Microsoft Skype for Business or Microsoft Lync and Skype for Business Online and the option to save and share your diagrams to SharePoint Online. 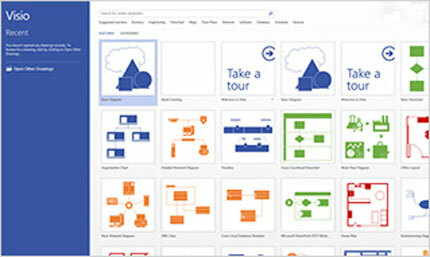 Use Visio to create visual Microsoft Project workflows for demand management, which work with both Microsoft Project Server 2013 and Microsoft Project Online. 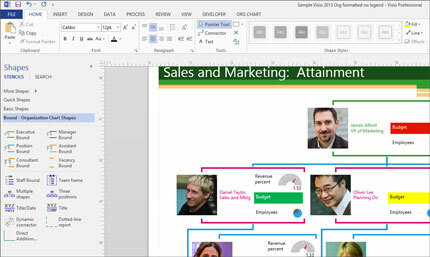 Create professional diagrams quickly with an expanded set of built-in and customizable shapes. 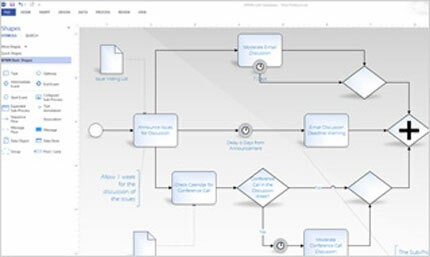 Easily build organization charts with new visual styles and formatting. 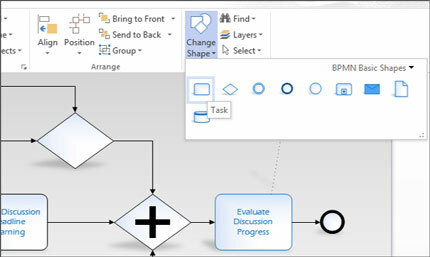 Instantly change your diagram format with new effects and themes. 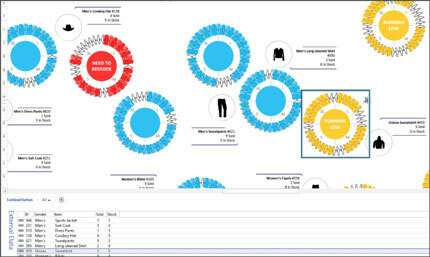 Link diagram shapes to real-time data and use icons, symbols, colors, and graphs to make the data easier to visualize. 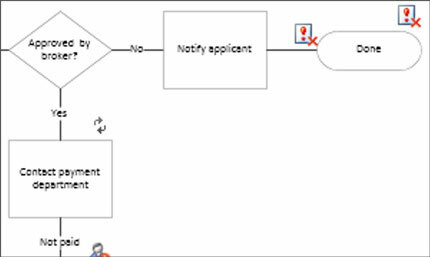 Work on the same diagram at the same time as other members of your team without having to manage multiple versions. 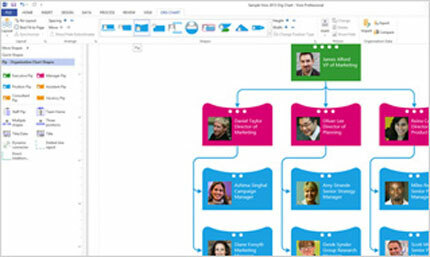 Get Office 365 benefits, including installation on multiple PCs per user, roaming application support, and automatically installed security and feature updates. Leistungsstarke Funktionen für Zusammenarbeit, erweiterte Sicherheit und Kontrolle und all den Platz, den Sie benötigen.